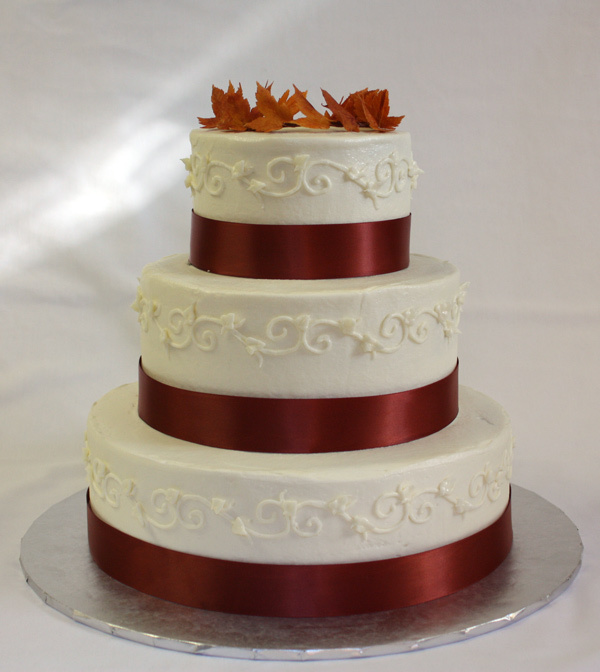 For years I have been using real satin/matte ribbon as borders on my wedding cakes. 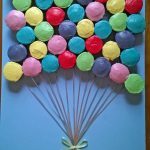 This is a great way to add color to buttercream or fondant cakes without using any food coloring. 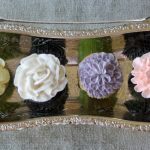 It’s also a great way to incorporate the wedding colors when the bride has the exact ribbon she wants you to use. 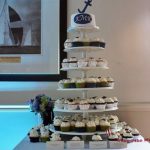 But the biggest question I’ve gotten is: “is it safe to have ribbon on a cake”? My answer is yes because the way I apply the ribbon it never really touches the cake. 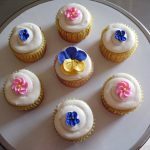 Especially on buttercream cakes if the ribbon actually came into contact with the buttercream it would quickly start to stain from the oils in the frosting, so making sure it doesn’t touch the cake is important for many reasons. 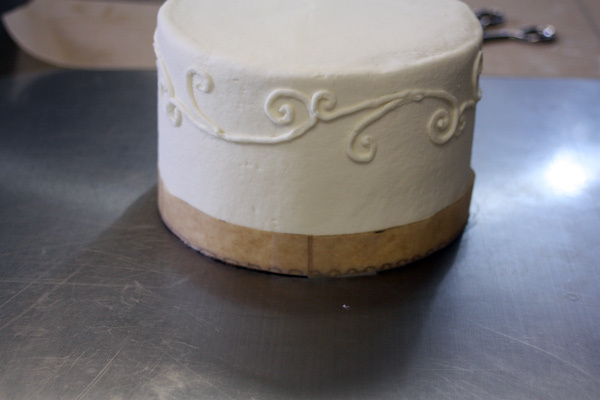 In order to keep the ribbon from touching the cake I first line the cake with a strip of parchment paper. 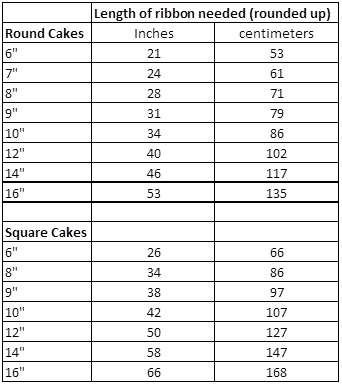 Below is a chart of the length of ribbon you will need for different size cakes. 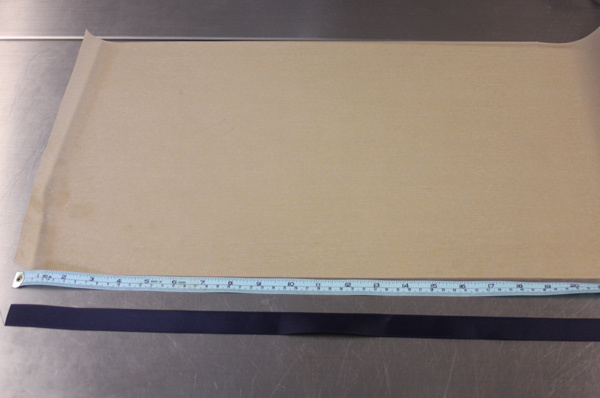 You will also need the same length in a strip of parchment paper. 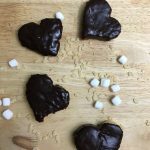 Measure out the length of ribbon you need along with an equal length of parchment paper. 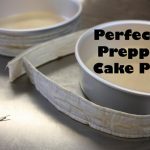 Once the parchment paper is cut to the correct height wrap it around your cake. 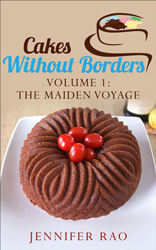 If you are applying the border to a buttercream cake make sure the cake is cold, it will make it much easier to handle. 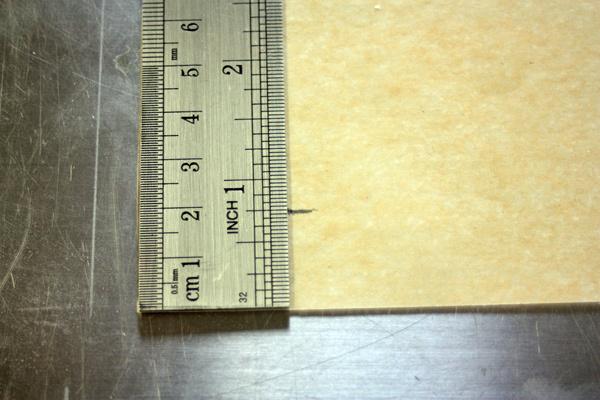 Use a piece of cello tape to adhere the parchment paper to itself. The sizing chart above will give you about a 2 inch overlap where the ribbon/parchment paper ends meet. 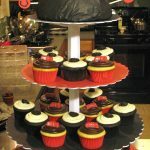 Next wrap your ribbon around the cake over top the parchment paper strip. 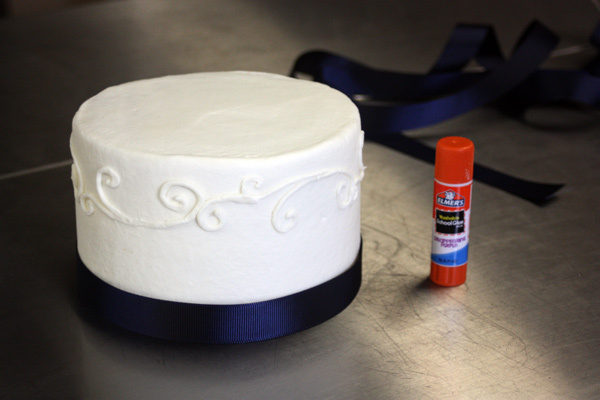 You can use a non-toxic glue stick to adhere the ribbon to itself. 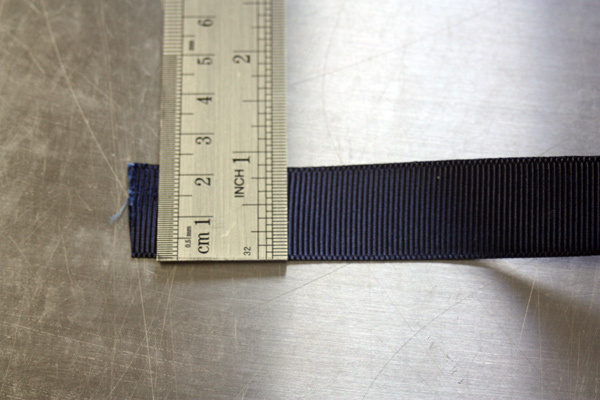 Once again based on the chart you should have a two inch overlap so that you can glue the ribbon to itself.